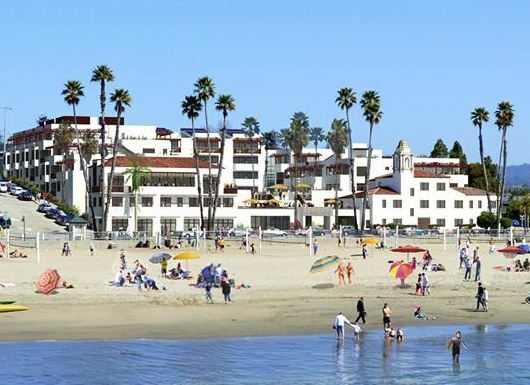 The Santa Cruz Seaside Company, the owner/operator of the Santa Cruz Beach Boardwalk, then stepped in and submitted a proposal for a 165-room beachfront hotel and conference/banquet facility. Notably, this project would not require amendment of the City’s Local Coastal Program, thus “keeping it simple.” As a result, it did not need Coastal Commission approval unless the City’s approval was appealed to the Commission and presented a substantial issue. While “substantial issue” is not defined in the Coastal Act and can be interpreted broadly by the Commission, it generally means that the appeal presents a factual and legal basis for the Commission to find that the development does not conform to the LCP or to the public access provisions of the Coastal Act. If the Commission finds that there is no substantial issue as to the specific allegations of the appeal, the appeal does not proceed to hearing. The City approved the CDP for the hotel project in August 2014 after determining that its LCP allows the proposed demolition of a portion of the La Bahia Apartments due to specific findings concerning economic hardship and public safety. The City based its decision on independent studies showing the existing buildings to be seismically unsafe and a full restoration to be economically infeasible. The CDP approval was appealed to the Coastal Commission by a local preservationist. The appeal argued that the City’s LCP requires more complete preservation of the existing La Bahia Apartments than required by the CDP and does not allow the proposed scope of demolition. At its December 2014 meeting, a mere four months after the City approval, a near unanimous Commission determined that the appeal did not raise a substantial issue and, therefore, would not proceed to hearing. As result, the hotel cleared its last remaining entitlement hurdle. By gaining approval from the City of an economically feasible development that would not require amendment of the City’s LCP, the Santa Cruz Seaside Company avoided the time, cost, and significant uncertainty that would have resulted from seeking certification of an LCP amendment from the Coastal Commission. Fronting the beach near the Santa Cruz Beach Boardwalk Amusement Park, the now-approved hotel will include retail space, a restaurant, a spa, a swimming pool deck, and underground parking facilities. The project also will restore a portion of the historic La Bahia Apartments, preserving the iconic bell tower and southeast building. The project applicant was represented by Annie Mudge and Linda C. Klein of Cox Castle & Nicholson throughout the entitlement process.